Here is a resource that you can use to get good sites for the computer math center! 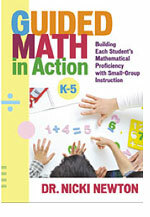 This is a great site for rich math activities. Here is what they are doing in July! These are great thinking activities for kids. Be sure to make the students talk through what they are doing and why they are doing it! We need to do more of this type of stuff where our students really have to problem solve rather than just calculate!